The objective of the training course is to transfer knowledge and special skills to the wind energy personnel active in technical and operational fields. The idea is to provide specialised training and knowledge to industry, utilities, technical institutions and various central and state governmental implementing agencies. Moreover the course provides an invaluable platform for dialogue and open exchange of views and experiences. 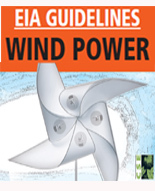 This training programme is intended to cover a wide variety of key topics such us: Introduction to wind energy, evolution & developments; Government policies and supportive schemes & programme; Wind resource assessment; Design of carefully vetted wind farming projects ; Installation & commissioning of wind farms; Investment techniques; Grid Integration; O&M aspects of wind farms; Small Wind turbine; Hybrid systems; Finance opportunities; Clean Development Mechanism related to wind energy.